Still Living After Death: Remembering the Notorious B.I.G. Hip-hop changed 20 years ago. Actually, forget that; music in general changed 20 years ago. It all changed when an unknown man in a black suit and bow tie pulled up next to Christopher Wallace, aka the Notorious B.I.G., at a traffic stop and shot him four times. Wallace's autopsy report proved that of the four, only one bullet wound was fatal. That's what it came down to: One bullet in just the right place, and one of the greatest rappers in history, and the pinnacle of the East Coast hip-hop scene, was dead at 24. I can't say I was around to remember the day it happened, mostly because I was less than two months old when it happened. Not only that, I'm a West Coast kid who grew up in the Bay Area listening to the Beatles. I didn't exactly hang out in the B.I.G. crowd. Growing up, I always at least understood Biggie Smalls' place as a legend, but I never really knew anything beyond that. He was always the larger-than-life icon, crown self-assuredly cocked on his head, that fans and fellow artists described as a God among men. It's only recently did I begin to consider that at the time of his death, aside from being the greatest rapper in the world, Biggie wasn't even out of his early 20s. Though Life After Death would be released sixteen days after his murder, his debut album, Ready to Die, was the only full-length solo album he saw released in his lifetime. He was a kid who was only getting started with what possibly could've been a long and wildly successful career, which makes the many things he did accomplish that much more extraordinary. I'm 20 right now, and the most exciting thing that happened to me this week was I found an extra slice of leftover pizza in the back of my fridge. Meanwhile, Ready to Die launched Biggie into superstardom at 22. A senior in college made one of the greatest albums of all time. Despite what the title claims, I don't think Biggie was ready to die. He might've been ready to take a break from the rap game, as he told the Source in 1997 he had "really been talkin' about quittin'," and there's no denying he kept destructive company in his life. The bitter and, ultimately, arbitrary East/West coast rap feud is arguably what killed him and his former friend-turned-rival Tupac Shakur, after all. But by all accounts of people who knew him, he was legitimately scared for his life in the six months between Tupac's and his deaths. He was in the finishing stages of Life After Death, and recorded so much material that he's still popping up on guest verses to this day. Hell, his widow Faith Evans is about to drop a duets album with him, two days before his birthday. All of this doesn't sound like a man who was ready to end it all. If that's not convincing enough, just look at Biggie's music. Yeah, he had plenty of verses about dark subjects, violence, and damn savage disses, as was customary in the "Gangsta Rap" era. But Biggie also has plenty of songs about being a self-made man, finding incredible success and happiness in the face of impossible odds, and using that success to inspire others to aspire toward big things as well. Look at Smalls' first hit "Juicy," a song all about overcoming obstacles and enjoying his newfound success. Though Biggie is showing off his triumph, it's not like the stereotypical hip-hop song about making bank, owning gold-encrusted everything and living self-indulgently. This is Biggie reflecting on all the luck and hard work that helped him succeed, while also remembering where he came from and the people who were there with him since the beginning (including the people who told him he'd never amount to anything). This song alone shows Biggie was not just some rapper with girls and money on the brain; he was a modern storyteller who had something of value to say and knew just how to say it. Yeah, "Juicy" is the Biggie song everyone and their mothers know about, but there's still plenty of amazing material to dig through that all give that same message of survival and hope. Admittedly, I'm still working through Biggie's catalog myself, but I figured out early on what makes him so special, and why he is the bar all songwriters should aspire to. 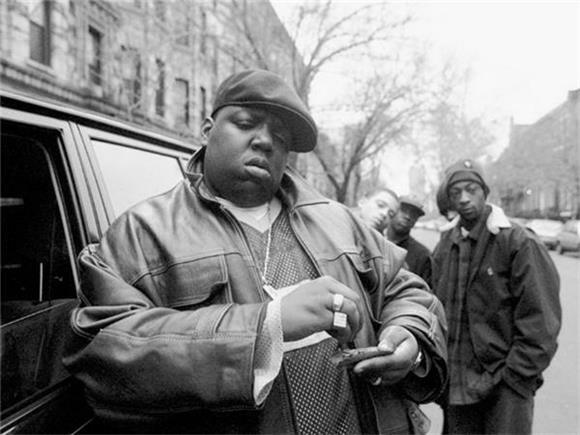 It is an undeniable tragedy that Biggie's life was taken when he had so much more to say, and that we still know as much about the unidentified killer as we did 20 years ago. But people shouldn't let themselves get hung up on that. Instead, go to his music. Go listen to the great music Biggie Smalls created while he was around. His words are a perfect reminder of how much life is worth living, and how many stories are worth telling.